We aim to bring you quality acts every month, so good that you’ll want to keep it your yourself! 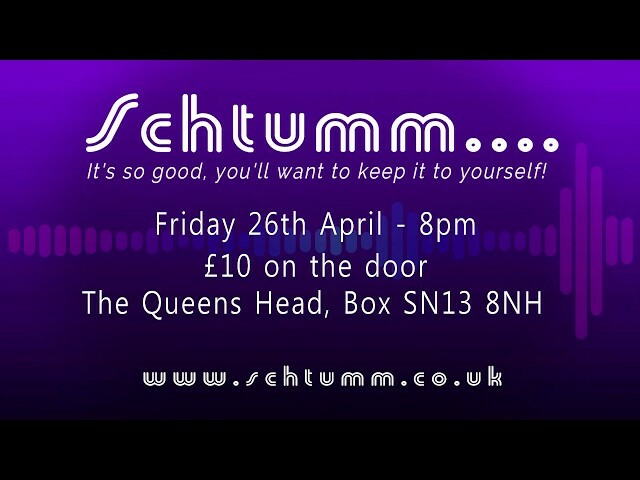 Schtumm is a high profile monthly gig that welcomes new, original music and actively promotes upcoming musicians and seasoned performers. Two acts play in the spacious marquee outside the pub in the summer and in the Long Room at the back of the pub in the colder months. The event is live streamed with 6 cameras and broadcast on Facebook Live / You Tube. This is no ordinary pub gig, the Schtumm audience listens. The charge is £5 on the door and the proceeds are divided between the performers. The gigs usually begin at 8.45 and finish at 11pm. We guarantee a night of quality music, the last Friday of every month. Can’t wait to see you there!